The Alvin Home Planning and Layout Drawing Template makes it easy and quick to draw architectural items like lavatories, kitchen fixtures, and door swings. 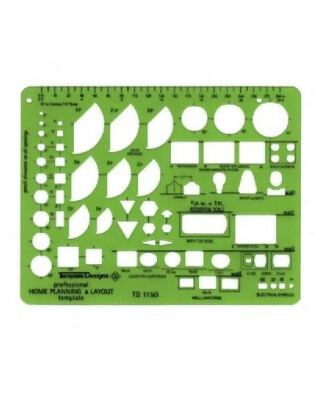 These work great for architectural drafting classrooms as well as in the professional work place. Contains lavatory and kitchen fixtures, and door swings. Template Size: 5½" x 7" x .030".